RANDALL R. RADER was appointed to the United States Court of Appeals for the Federal Circuit by President George H. W. Bush in 1990 and assumed the duties of Chief Circuit Judge on June 1, 2010 and retired from the bench on June 30, 2014. He was appointed to the United States Claims Court (now the U. S. Court of Federal Claims) by President Ronald W. Reagan in 1988. Chief Judge Rader’s most prized title may well be “Professor Rader.” As Professor, Chief Judge Rader has taught courses on patent law and other advanced intellectual property courses at George Washington University Law School, University of Virginia School of Law, Georgetown University Law Center, the Munich Intellectual Property Law Center, and other university programs in Tokyo, Taipei, New Delhi, and Beijing. Due to the size and diversity of his classes, Chief Judge Rader may have taught patent law to more students than anyone else. Chief Judge Rader has also co-authored several texts including the most widely used textbook on U. S. patent law, “Cases and Materials on Patent Law,” (St. Paul, Minn.: Thomson/West 3d ed. 2009) and “Patent Law in a Nutshell,” (St. Paul, Minn.: Thomson/West 2007) (translated into Chinese and Japanese). 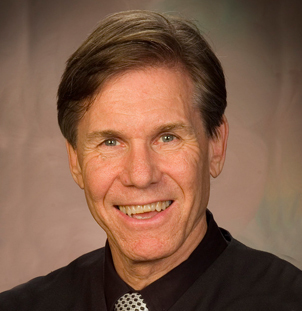 Chief Judge Rader has won acclaim for leading dozens of government and educational delegations to every continent (except Antarctica), teaching rule of law and intellectual property law principles. Chief Judge Rader has received many awards, including the Sedona Lifetime Achievement Award for Intellectual Property Law, 2009; Distinguished Teaching Awards from George Washington University Law School, 2003 and 2008 (by election of the students); the Jefferson Medal from the New Jersey Intellectual Property Law Association, 2003; the Distinguished Service Award from the Berkeley Center for Law and Technology, 2003; the J. William Fulbright Award for Distinguished Public Service from George Washington University Law School, 2000; and the Younger Federal Lawyer Award from the Federal Bar Association, 1983. Before appointment to the Court of Federal Claims, Chief Judge Rader served as Minority and Majority Chief Counsel to Subcommittees of the U.S. Senate Committee on the Judiciary. From 1975 to 1980, he served as Counsel in the House of Representatives for representatives serving on the Interior, Appropriations, and Ways and Means Committees. He received a B.A. in English from Brigham Young University in 1974 and a J.D. from George Washington University Law School in 1978.